Last edited by Chad; 10-15-18 at 07:01 PM. 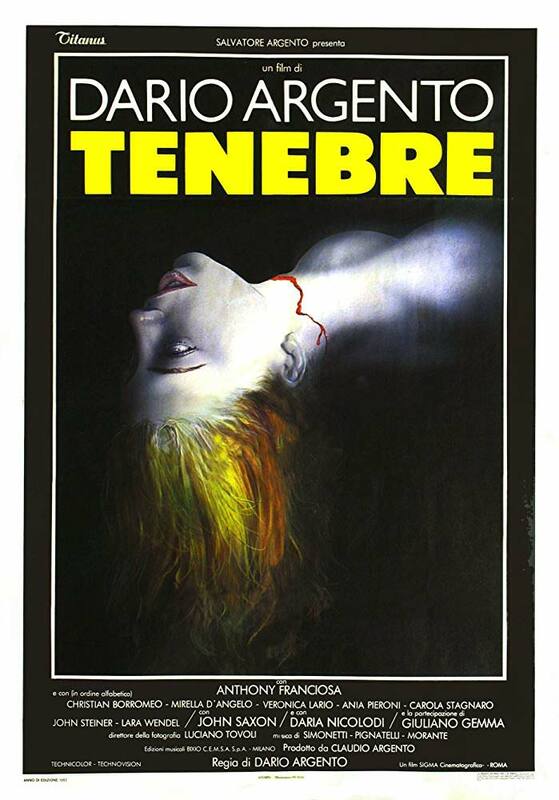 Sometimes it's spelled Tenebre and other times it's spelled Tenebrae. Tenebre means 'darkness' in Italian and Tenebrae is a religious ceremony where candles are gradually extinguished towards darkness. 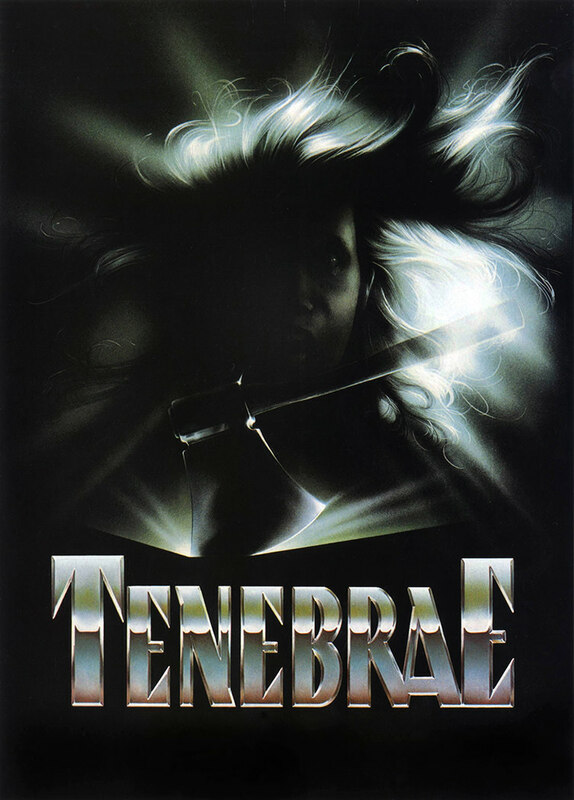 Synape and Arrow releases call it Tenebrae and the book within the film is spelled Tenebrae; but I guess both spelling are nearly the same thing. For a while I was concerned I was horribly mis-spelling the film no matter how I spelled it. What a great soundtrack and the Synapse blu-ray looks excellent. Argento loves panning sweeping shots here and the camera motion works so well for giallo like a leering uninvited glimpse into the murders. The music is upbeat enough to be inappropriately matched for the grim proceedings, which makes it more awesome. Not dead yet then death by modern art sculpture - some of the elements in Tenebre and cheesy but so well executed. Last edited by Undeadcow; 10-16-18 at 11:57 PM. Multiple viewings of this classic. The music, like Halloween 1978, is critical. Without this awesome music we would have an average giallo in my opinion. The final killings are over the top cheese. This was my first time watching this, though I've heard of it and had it on my TBW list for awhile now. I enjoyed it. There were some interesting kill/chase scenes and the mystery was decent, though I figured it had to be the guy about midway through. The ending was pretty OTT. It's not my favorite giallo by a long shot (that goes to Don't Torture a Duckling), but it was good, and I'm glad I finally saw it. I also watched Opera for the first time this challenge and I loved that one! First viewing for me and it was excellent! I think I like it better than Suspiria. Don't judge me! Great over the top gore, lots of beautiful woman and a great soundtrack! How did I not see this before? 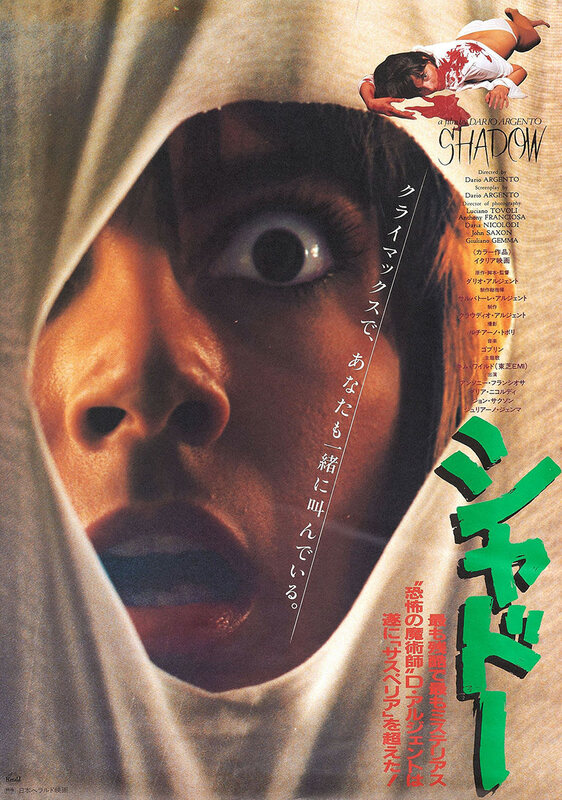 Also, Shudder is streaming an absolutely fantastic looking version. I agree with others that the soundtrack really elevates this film. In fact, Fabio Frizzi/Goblin is probably one of the biggest reasons for my love of Italian horror. 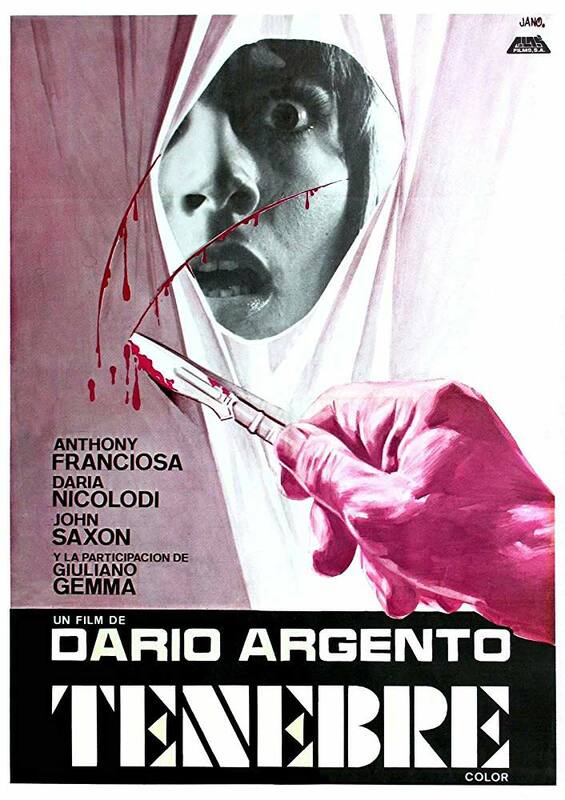 I prefer Argento's supernatural films but this is probably my favorite Giallo of his. I find the characters more likable than Deep Red. I haven't seen Opera in years, I've been waiting for the Scorpion deluxe Blu-ray and I hope it comes out sooner than later because I'm eager to revisit it. Synapse did an excellent job with their Blu-ray of this film, and their other Argento releases. I love that they included soundtrack CDs with them, probably my favorite supplement in home video. I never really crush on Daria Nicolodi but I think she looks beautiful in this film. John Saxon and his enthusiasm for his hat steal the show. I was so sad when he died. By Italian horror standards this has got to be one of the most competent police inspectors ever. They're usually incompetent slobs. First time view for me as well. I have the Arrow disk, and I thought I was the lucky one to have a short Goblin live set as an extra on the disk. GAAA! The Synapse LE has the soundtrack. Guess I missed out on that one. I agree that the soundtrack is fantastic, and think it adds to the excitement of the film. Have my ticket for the Goblin show next week, and I'm hoping they play some non-Suspiria stuff. The couple times I've seen them they've been fantastic and play plenty of non-Suspiria stuff including Tenebrae. I watched this with a friend who is a big reader. As it started getting going, she says, "Wait. This is a movie about a killer targeting a writer by using murders from his book. I love it already." 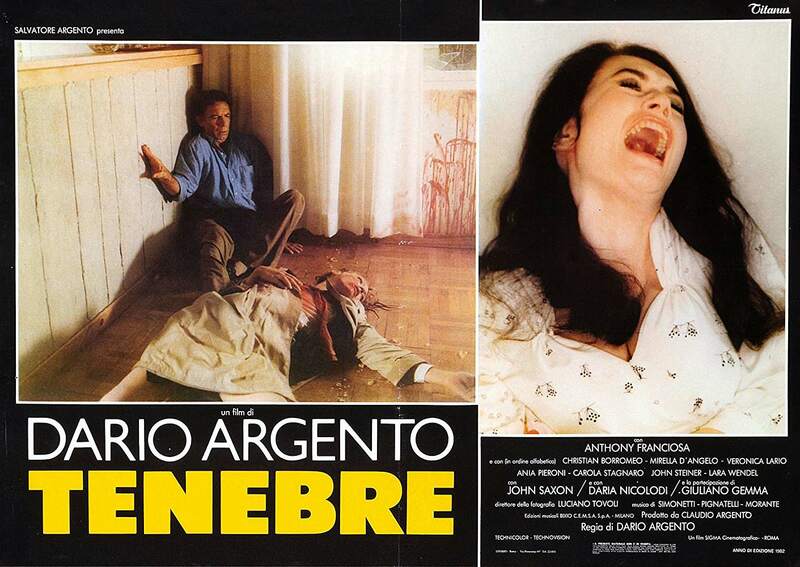 It is one of the better Argento stories on the whole. It was a rewatch for me. I don't think I'll ever turn down a chance to use one of my Argento Blu-rays. My friend remarked after the film that she has liked all the Argento films I've shown her. I promised I wouldn't show her some of his more recent stuff.